You’re a gardener, yes? But are you also a parent or grandparent? 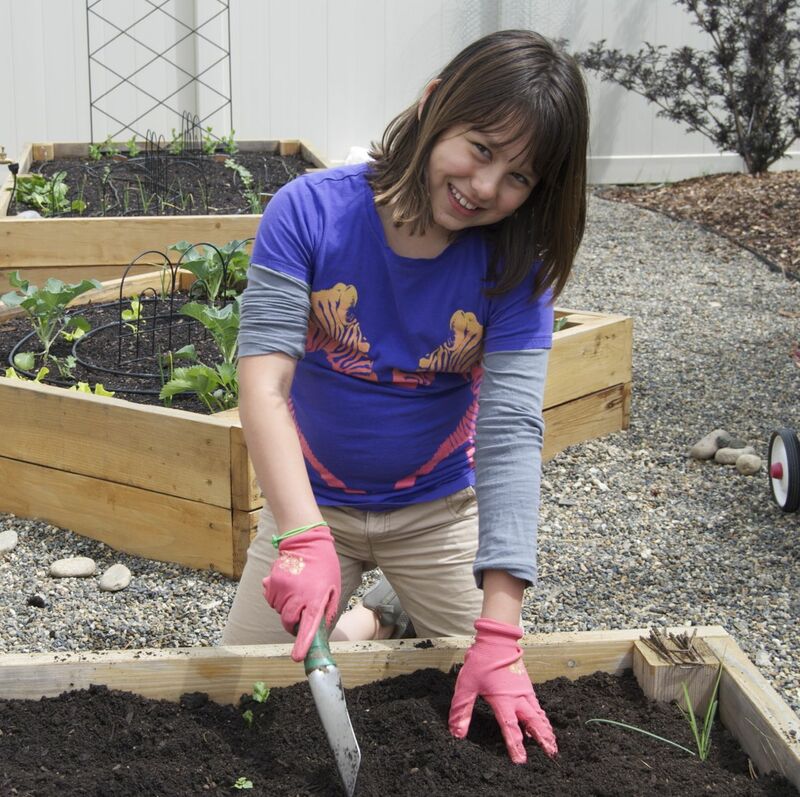 If so, why not involve any kiddos in your life in a wee bit of gardening this season. After all, we want our kids happy and healthy right? It makes life a whole lot easier and more fun! Have you ever thought about the garden as a place to foster happiness and good health in our children all in one-shot? I have and I think there are some big rewards available if a little time is invested. How about the opportunity to be creative and take ownership of something? Freedom. Decision-making. That is something kids can usually rally around. So if you have a garden or are starting one this spring, give a chunk to a child to call his or her own. It can be their plot or pot to make decisions about. What about the chance to build confidence? Anyone that plants a tiny seed and it grows into something big, beautiful and even edible, is going to feel a sense of accomplishment. This type of positive experience can build a kiddo’s self-esteem giving them motivation to try other activities and interests. And then there’s the old-fashioned thing of spending time together doing something. Not being entertained by something, but doing something together or just nearby each other, outside. Hmmmm…. O.K. enough of the happy stuff, what about the health part. If you believe food is the primary source of your well-being, (as I do) then you know gardens can play a big role in helping us feel good and live well. This is because they produce highly nutritious, fresh food – pretty simple. 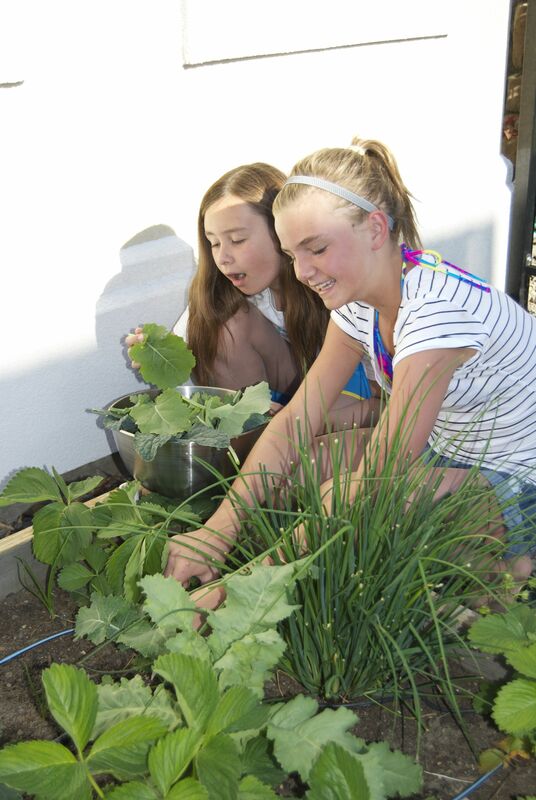 By growing some of our own food and getting kiddos involved, we have a great opportunity to help our kids build good eating habits which can contribute to a lifetime of good health. We can get them to think beyond the supermarket as the place food comes from and maybe even beyond food commercials! Scary cool! And there’s a few extras, like lots of Vitamin D (from being outside), keeping active and keeping the electronics all tucked away on their charging stations for when the time is right. Sounds like lots of plausible reasons to get kids in the garden right? If you’re a believer, here’s some tips on how to make it happen and have fun. Start small, you can always add-on – Remember kids won’t want to spend big gobs of time in the garden. Short projects. Plant crops that grow fast – Instant gratification appeals to everyone! Go with non-supermarket friendly varieties – Things that look different compared to what we normally see or eat. Go for the purple carrots! Have an attitude of experimentation – If your child wants to plant in intricate mosaic patterns or just willy nilly, it’s o.k. If the plants are well cared for, they will produce. Be patient and be a partner – Perfection is not the goal, the goal is to keep your child interested and having some fun. Be a supportive partner when called upon (like when your child gets an in promptu invitation to go somewhere with a friend for a day or two). Pitch in and make sure their garden is watered and keeps going until they return. Follow Thru – Harvest, Eat, Enjoy! – Once the edibles become available be sure to consume them. This is really the best part! 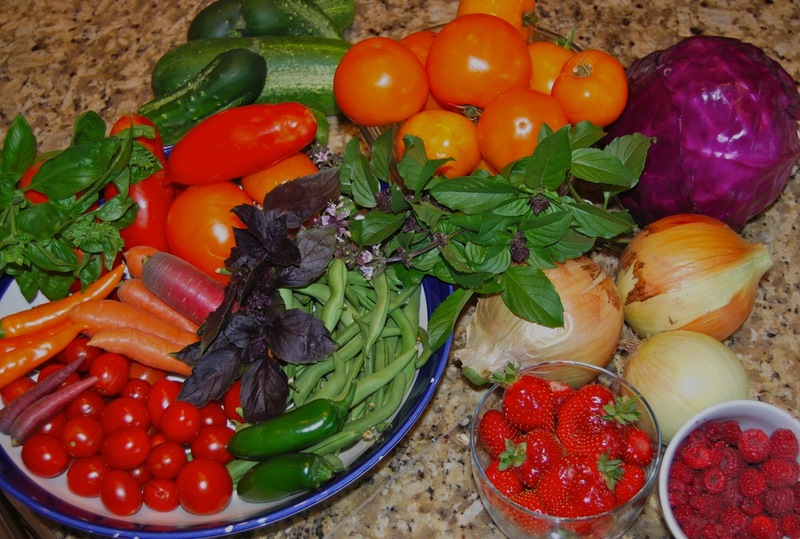 One more thing…if this all sounds good but you are unsure about getting your kiddos to eat from the garden, check out my Kid Eats page. These are simple, yummy recipes that kids can make with the food they’ve grown. You know, for bringing it full circle – from planting to plate! Come to my seminar at the Boise Flower and Garden Show on Saturday, March 22nd, 1:45 p.m. to learn more about “Sharing the Magic of The Garden: Digging In & Dining In With Your Kids.” Plus, there will be lots of plants, bulbs, tools, pots, garden art and more (even flamingos) just waiting for you to spot and find a place for in your garden! See a full list of the seminars here. My children always helped in the garden and have grown up to appreciate not just the life cycle of food but an appreciation of all of the wildlife they saw close up whilst gardening. Good luck with your talk, its a wonderful topic. No children to share the garden, but what energetic little helpers to have. Kids learn so much from getting in nature (garden) that lasts a lifetime. I agree! Thank you so much for stopping by. Happy Spring to you at the beautiful Falls! When I was working for a garden center, it was surprising to me how popular the Kids’ Club was. They especially loved pulling up carrots, washing them off with the nearby hose and eating them on the spot. I like to think we got a few of them hooked on gardening and healthy eating for life. Nice post and cute kids! I have to admit my kids resisted helping out in the garden, and eventually I stopped asking. Though I wouldn’t be surprised if the gardening bug gets them when they are older. Andrea – I enjoyed this post so much. And I think your list for incorporating kids would also be tips for new gardeners. For example, the tip to “start small” – well this is what finally allowed me to garden – when I attempted in the 1990’s – I was trying to fill a huge raised plot that our former homeowner left behind – and it was a big dud. too much at one time. anyhow, years later when I started small – I had enough success to try more and more…. lastly, I like the kids eat page a lot – and the kale chips look delicious and have to try them ASAP. one more thing regarding kids int he garden – the one project I did with some young teens – which was also a huge success – well they made “porch pots with mixed goodies” for gifts. I found that the lavender is super hard to grow from seed (for me that is) and so we bought some of this already potted – along with some others. And the seed options – well they got to pick and then we talked about heights and root needs and how some roots are invasive (like mints) and well, the teens loved it – and so did their moms. As a teacher I advocate having school garden labs…no kiddos here and I always wished my nieces were closer so they could garden with me…now my 27 yr old niece has a small garden and it warmed my heart when she started it. You were her inspiration I bet! Great post. My kids helped but didn’t do a whole lot. I didn’t want them to feel like it was “work” so I was pretty lenient. Now that they’re adults, they love and appreciate nature. Someday when they have homes of their own, I’m sure they’ll have a garden. That is great! I must admit, mine do best with just a couple of short fun projects. They love to pick from the garden tho!